The Institute’s Architecture Awards recognise excellence and innovation in design and are conferred via a rigorous system of peer review. In NSW, each Awards category is presided over by a jury of at least three people. Juries are comprised of Institute members appointed and convened by the Institute’s NSW Chapter Awards Committee. In addition to submitting data and images online, each project entered for consideration in the NSW Architecture Awards must be presented in person to a Jury panel. In the period immediately after Presentation to Juries, Juries will carry out site visits before compiling their shortlists. 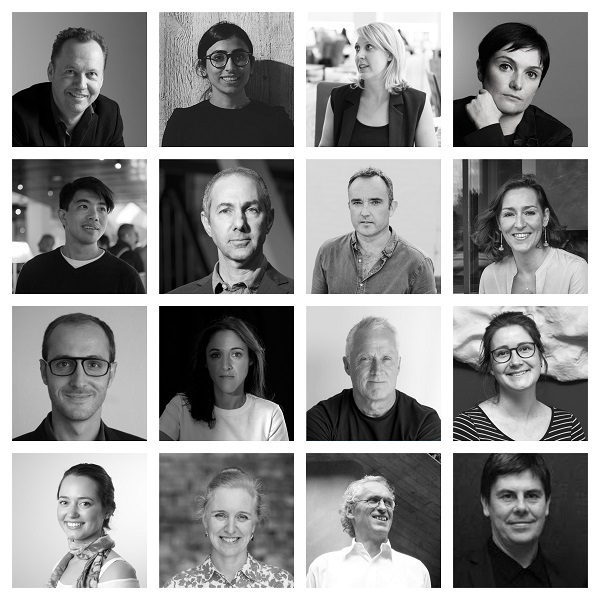 The EOI to be a Jury member for the 2019 NSW Architecture Awards and the Newcastle Architecture Awards is now closed. A call for EOI for the 2019 Country Division Award Program will take place in April 2019. EOI submissions are made through a short online form where you will be prompted to provide details of your areas of interest and expertise. If you require further information please contact the NSW Awards & Prizes Officer. How are award juries selected, and how do I apply? Members of all NSW award juries, including jury chairs, are selected annually by the NSW Awards Committee. You can apply for a position on Jury by submitting an Expression of Interest (EOI). This process opens in October each year. In Newcastle one jury considers entries across all categories. Jury members are selected by the Newcastle Division Committee following the annual EOI process. Jurors for the NSW Country Division Awards will be selected via an EOI that will be launched in April 2019. In addition to new EOI’s each year, those who have raised interest in the last 5 years are also considered. If you have submitted previously but would prefer not to be considered, please contact the NSW Awards & Prizes Officer who can remove you from this list. If you have submitted an EOI in the last 5 years you are not required to submit again, but are welcome to do so if you wish to update your details and/or to reaffirm your interest. Architects on Chapter and Regional Juries are required to be Institute members (see Awards, Prizes and Honours Policy, page 7), however other experts can also be considered at the discretion of Chapter Council. – No prior experience is required for jury positions, apart from Jury Chairs who will be selected from applicants that have previous awards jury experience. – For experience and continuity a maximum of two jurors from the last five years may be invited to repeat jury service. Once they have served, jurors cannot be considered for the same category jury again for a period of 5 years. – Juries shall reflect the make-up of the profession, with a gender balanced representation. – Juries shall reflect a diversity of experience. – The number of positions on each jury is determined by program requirements from year to year. What are the duties and time commitments? The role of a NSW jury member as a whole runs from approximately March through to the beginning of July. The majority of commitment is during March and April when applicants present their entries, and projects are visited. Newcastle juror duties generally run from January through to March. Can I still enter the awards if I’m a juror? Being an award juror does not preclude you or your practice from entering the awards that year, however you cannot enter into categories in which you yourself will be judging. Eg. if you were judging the category group Public Architecture/Educational Architecture you or your practice would be free to enter all other categories except these. Jurors are also responsible for declaring any conflicts of interest should these arise throughout the judging process. Why should I be a juror? The awards process is a major opportunity for public and peer recognition of architects’ work, and also provides the Institute with a valuable mechanism to promote architects and architecture in the Australian and international community. Appointment as an award juror is an important role. It offers the chance to contribute to your profession, to recognise and award design excellence in the work of your peers, whilst presenting excellent opportunities for personal and professional development.